* ‘아시아엔’ 해외필진이 작성한 기사의 한글요약본과 원문을 함께 게재합니다. 파키스탄 타르사막에 위치한 타르파카지역에선 올해만 150명이 넘는 어린이가 수인성 전염병으로 사망했다. [아시아엔=나시르 아이자즈 기자·번역 김아람 기자] 파키스탄 남서부에서 인도 북서부에서 걸쳐 광활하게 펼쳐져 있는 타르사막. 세계에서 7번째로 넓은 사막인 이 곳은?가뭄과 가난의 고통을 동시에 안고 있는 곳이다. 타르사막 가운데 특히 신드주(州)의 타르파카(Tharparkar) 지역에선 올해 1월부터 150명이 넘는 어린이들이 수인성 전염병(콜레라와 장티푸스 등 물이나 음식물에 들어 있는 세균에 의해 전염되는 병)으로 죽어가고 있다. ?지난 2013년부터 극심한 가뭄에 시달리고 있는데다 깨끗한 식수가 부족한 비위생적인 환경 탓이다. 설문 조사 결과, 이 곳의 약 70% 가구는 안전성이 검증되지 않은 물을 식수로 사용하고 있었다. 뿐만 아니라 국제연합(UN)의 인권보도매체 아이린(IRIN)의 보고서에 따르면 “파키스탄 남동부(타르파카)의 극심한 가뭄으로 식량이 부족해 해당 지역 거주민들의 영양상태가 악화되고 있으며, 특히 어린이와 임산부, 모유 수유모의 경우 상황이 심각하다”고 한다. 타르파카 지역은 농사에 필요한 씨앗과 비료이 부족하고 관개시설이 노후돼 제대로 된 먹거리를 얻기도 힘들다. 설상가상으로 환자가 발생한 경우 제일 가까운 병원까지 17km를 내달려야 할 만큼 병원 수도 현저히 적고, 병원에 도착해도 제대로 된 치료를 받기 어렵다. 이 지역에서 일하는 의사가 300명이 채 되지 않기 때문이다. 타르파카의 전체인구가 130만명인 걸 감안하면 턱 없이 낮은 수치다. 올해 초 많은 어린이들이 한꺼번에 사망하면서 문제의 심각성이 대두되자, 지난 1월말 신드 주의회 야당에선 ‘해당 지역 의사 수를 늘리기 위해 기간제 의사를 파견하자’는 내용의 법안을 발의한 상태다. 민간 단체들 역시 “주정부는 그간 타르파카에 만연한 가뭄과 식량난 등을 방치해왔다”고 비판하고 있다. 그러나 신드주 정부는 “관련 예산을 2배로 늘리며 의료 장비를 확충하고 의료진을 추가로 채용하는 등 최대한 노력을 해왔다”며 반박했다. 솃 까임 알리 샤 신드주지사도 어린이 사망사건에 대해 “타르파카 사태 진상규명을 위한 조사위원회를 구성했으나, 의사소통 수단 부족으로 이 넓은 지역의 아동들을 일일이 조사하기란 어렵다”면서 “이번 사건의 원인은 기근 때문이 아닌 모계 건강문제로 보인다”고 밝혔다. ?또한 그는 “일부 소수의 문제에 대해 정부가 책임지는 것은 부적절하며, 173명의 어린이가 사망했다는 언론 보도는 부풀려졌다”고 말해 논란의 중심에 섰다. 이에 따라 양측의 공방은 앞으로 더욱 치열해질 전망이다. 한편 난드 랄 파키스탄 현지 기자는 <아시아엔>과 <매거진 N>에 “많은 산모들이 영양실조를 겪다보니 태어나는 많은 아이들도 면역력이 약해 작은 기후 변화에도 쉽게 질병에 노출된다”고 전했다. 부족한 의료진 문제에 대해서도 “의사들은 환경이 열악한 사망에서 일하기를 꺼리기 때문에, 정부에서 발령 보내더라도 제대로 근무하지 않을 가능성이 있다”고 덧붙였다. At least 150 children have died of waterborne disease since January this year in Pakistan’s impoverished desert district of Tharparkar, which has been devastated by drought since 2013. The media reports suggest the death toll around 173 but the government authorities have termed it an ‘exaggerated figure’. Civil society groups and opposition politicians say the Sindh provincial government’s response to the crisis has been insufficient to prevent widespread hunger and disease. “We have not seen any benefits, despite government claims,” said Kamla Bibi of a local civil society group called ‘Thardeep’ at Mithi town, the headquarters of Tharparkar district, bordering India. Nisar Khuhro, the provincial government spokesman, admitted there were problems, but told that problems of suffering people were being “urgently addressed”. Yet, four years into the crisis, farmers are still in need of seeds and fertilizer, according to preliminary data in an unpublished report being prepared by the Pakistan Food Security Cluster, which is led by the United Nations Food and Agricultural Organization and the World Food Program. New irrigation systems also need to be built and old ones repaired, according to a draft of the report obtained by Integrated Regional Information Network (IRIN) of the United Nations. Officials from the FAO and WFP cautioned that the survey results have not been finalized and that the findings of the report could change. But there is no doubt that people are suffering as harvests fail and livestock die. This is especially true in the hard-hit southeast of Sindh province, where Tharparkar is located. Although 96 percent of households surveyed said they had received food assistance during the preceding two years, 90 percent said drought had adversely impacted their food consumption. “It can be safely concluded that food deprivation caused by the drought in the southeast is increasing and worsening malnutrition, especially among children, pregnant and lactating women,” says the draft report. In addition to lack of food, 68 percent of households surveyed in Tharparkar reported that they drew water from potentially unsafe sources, which exposes them to diarrhea that can cause malnutrition and vice-versa. The conditions “can be linked in a vicious cycle amongst children,” according to the World Health Organization. According to report by Al-hasan Systems, a company that specializes in gathering humanitarian data, at least 139 children died in Tharparkar in January. Al-hasan Systems attributed the deaths to a combination of drought-related disease and poor access to healthcare. Asha Bibi, who heads a local civil society group called Polki, said his organization also counted at least 100 deaths from hospital records, but she told IRIN that it was possible that adults or other children were dying. The survey carried out by the Food Security Cluster highlighted that access to healthcare is a major problem in the region. The average distance to health facilities in Tharparkar is 17 km. Out of the nine districts surveyed in Sindh, researchers found that households in Tharparkar travel the longest distance on average to access healthcare services. Even if a sick person makes it to a clinic, they may not receive adequate care. There are only 298 doctors in the district, which is home to more than 1.3 million people. More than 215 village dispensaries meant for medication and providing minor healthcare are “non-functional”, according to Al-hasan Systems. The deaths of children in Tharparkar have sparked fierce debate in the provincial legislature. Opposition members proposed in the January 28 session that the government requires new doctors entering the public health system in Sindh to work for a period of time in Tharparkar. Khuhro, the provincial government spokesman, was quoted as saying by IRIN that the government is committed to improving health facilities, although he did not provide details of the plan. “We are doing everything we can to improve conditions at hospitals,” he said. 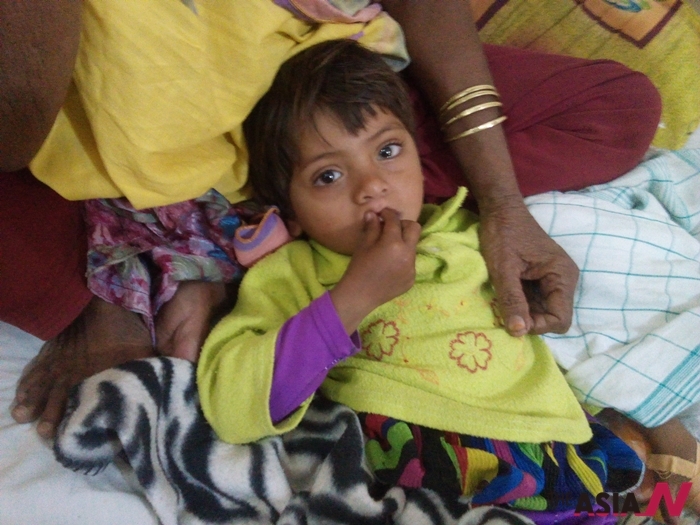 Nand Lal, a local journalist of desert district, told The AsiaN that the deaths of children are reported round the year but the kids born weak owing to malnutrition are prone to different ailments during extreme hot and cold weather in summer and winter seasons. “The male and female population of this district use to live in very unhygienic conditions. 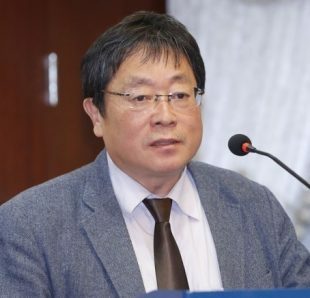 Moreover, the pre-mature deliveries due to malnutrition are often reported from remote villages where the services of untrained conventional midwives are hired, which aggravate the situation,” he said. Meanwhile, finding no solution to the issue, Chief Minister of Sindh Province Syed Qaim Ali Shah constituted a Judicial Commission to investigate the situation in Thar Desert in the wake of continuing deaths of children because of malnutrition and waterborne diseases. The two-member commission headed by a retired Justice has been tasked to complete its inquiry. The commission will look into reasons for children’s death, impact of measures taken by the government, point out shortfall in efforts/policy and suggest measures for improvement. Latest reports from Thar put the death toll of children at 173 since Jan 1 because of waterborne diseases and malnutrition, however, the Chief Minister says the figure is exaggerated. Taking notice of media reports, the chief minister said the government had taken practical measure for poverty alleviation in Thar. He wondered how the government could know about each and every child in the desert area, where the communication system was not so good, and claimed that deaths of children being reported in Tharparkar were largely on account of maternity-related complications and not from hunger or lack of food. If there was drought and lack of healthcare facilities, then men and women would also have suffered equally, he said, adding that this was injustice to hold his government responsible for a thing that was not even prevailing. Despite that, Mr. Shah said, media reports were saying that infants’ deaths were on the rise.